Now in hardcover for the first time? 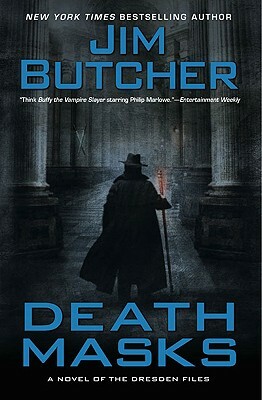 book five in the New York Times bestselling Dresden Files series! Harry Dresden, Chicago?s only practicing professional wizard, should be happy that business is pretty good for a change. But he also knows that whenever things are going good, the only way left for them to go is bad. Way bad. Recent examples: A duel with the lethal champion of the Red Court, who must kill Harry to end the war between vampires and wizards?Hit men using Harry for target practice?The missing Shroud of Turin?and the possible involvement of Chicago?s most feared mob boss?A handless and headless corpse the Chicago police need identified? Not to mention the return of Harry?s ex-girlfriend Susan, who?s still struggling with her semi-vampiric nature?and who seems to have a new man in her life. Some days, it just doesn?t pay to get out of bed. No matter how much you?re charging. A martial arts enthusiast whose resume includes a long list of skills rendered obsolete at least two hundred years ago, Jim Butcher turned to writing as a career because anything else probably would have driven him insane. He lives with his wife, his son and a ferocious guard dog.